Denmark! On Sunday there was the world premiere of the opera Momo og tidstyvene based off the book by Michael Endes. Momo is about a girl funnily enough called Momo who arrives at a town after having escaped from an orphanage and they take her in and look after her. However grey men in bowler hats and smoking cigars from the Timesaving bank appear and suddenly everyone starts to appear less happy and interested in Momo and life and just very very busy…. What I’d like to discuss most is the production which is outstanding. The sets, the props, the special effects are all outstanding and as a family opera, you really couldn’t ask for more. There is a turtle that becomes quite an important character and it’s a little robot that moves around and on its shell, words light up, reflecting back to the story; when Momo visits Master Hora, his Home has a huge pendulum clock swinging across the entire stage and he goes through three costumes in about a minute, it’s all a feast for the eyes and you can see how much time, effort and money have gone in to this. The main set of the town is bright, ‘poppy’ with pastel colours to contrast to the dull grey of the Timesaving bank and the bright blues and golds of Master Hora’s. The special effects when something happens to a member of the bank is astonishing and very well done. Anke Briegel who plays Momo is outstanding. Her acting is spot on, acting like a young child realistically without going over the top and her singing is lovely too. The supporting cast all do their parts well (the young children they have are fantastic) Sten Byriel as Beppo the kindly old street cleaner was my particular favourite not just for his great voice but his warmth and affection that exuded through his performance. This feels like it could be anyone’s first opera and it would make them love it and want to go to more. The music reminds me a bit of Written on Skin and The Exterminating Angel: cinematic, tense, exciting- perfect as a gateway to the operatic world. Momo received a standing ovation and I can see why. The production was second to none, the acting and the singing were great and this is the sort of production that can get someone interested in, and loving opera for the rest of their lives. 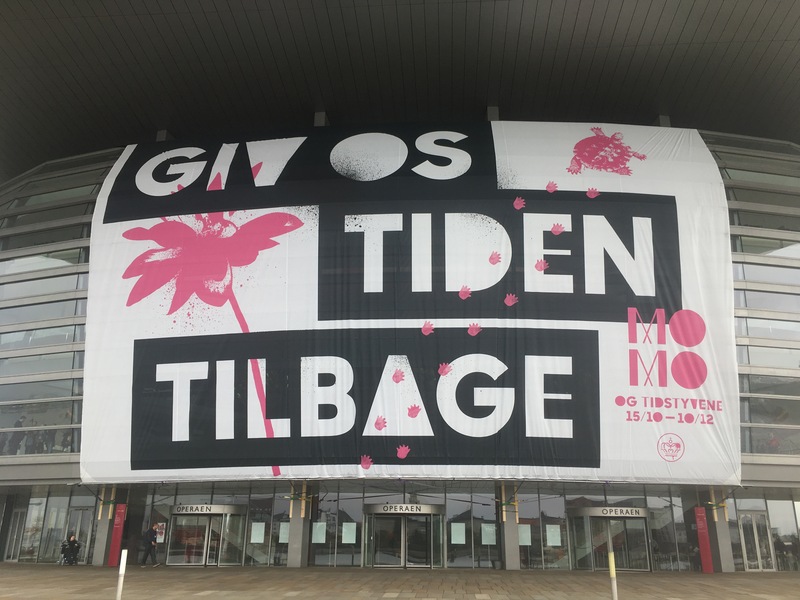 I really hope that it is not just the Danish that get to enjoy this as I think it’s just a wonderful, happy and fun opera that everyone, no matter how old or young will enjoy.